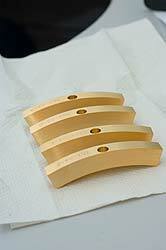 We offer a hard acid Gold process which is primarily used on connectors for improved wear or contact resistance on electrical contacts, it is also highly corrosion resistant as it does not form a coherent oxide film at its surface. 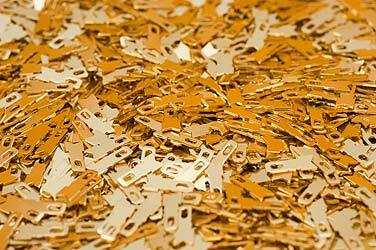 It is also used for semi conductors, circuit boards and a multitude of micro electronic devices. 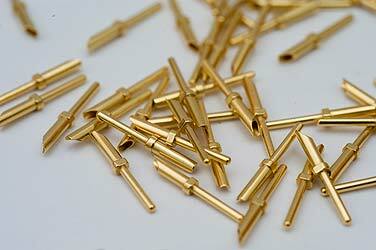 Gold is also applied as a decorative coating although this is not our specialisation. A pure or soft Gold process is also offered for applications requiring an unalloyed Gold deposit when the electrical and physical properties of the pure metal are necessary.